Hawk Henries is a member of the Chaubunagungamaug band of Nipmuck, a people indigenous to what is now southern New England. 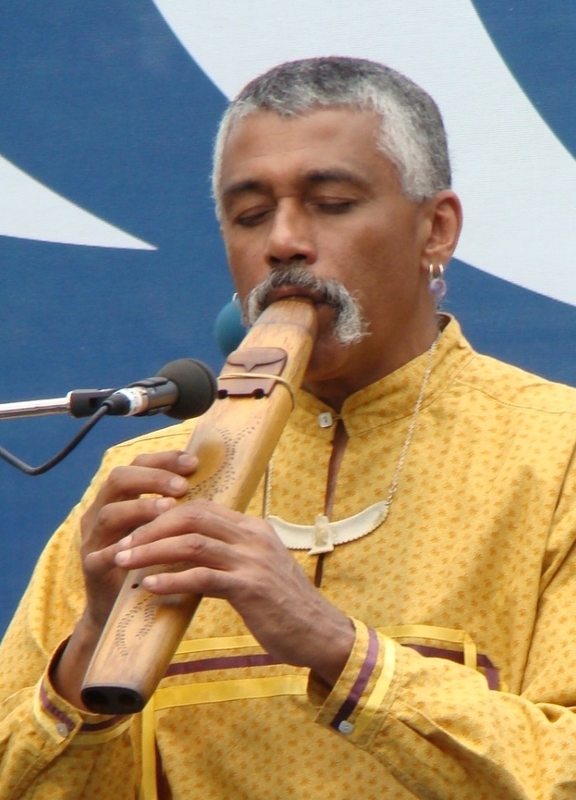 He has been composing original flute music and making flutes using only hand tools and fire for over twenty 25 years. As a flute maker his focus is to remain historically consistent, in terms of relationship to, and the process of, building a flute. Hawk’s attention to detail, both in tuning and aesthetics is evident. Working with hand tools allows him to intentionally accentuate the natural beauty of the wood grain, with each part of the flute being beautifully hand carved and meticulously sanded. Only a gentle breath is necessary to create a full, rich sound which can easily transition to the upper octave. Custom orders are welcomed!